Smartphones and tablets. Lots of people have them and we use them to play games, message our friends and family, participate in Tweetchats (shameless plug! ), and oh yeah, to make us more productive at work. I've been sitting on this idea for at least 5 years, when I created the first Pallimed apps for iOS and Android. To do some research, I started collecting apps from various hospice organizations to see how they used the technology. I branched out from there to collect other health care related apps, that could be utilized by patients and families. Many of these apps have very few ratings, especially when compared with Clash of Clans or whatever app of the moment is, so it makes it difficult to tell the utility. But what if we had a group of individuals willing to try out different apps and give all of us palliative advocates a better understanding of how it might work for us? Eric Widera over at GeriPal (read, subscribe, comment if you don't already!) recently posted a list of multiple apps and online tools from a presentation at the American Geriatrics Society 2015 meeting. Look you already have a list of apps to review! No need to go hunting. Let's review the VitalTalk app or the Health Communications app. So many out there. 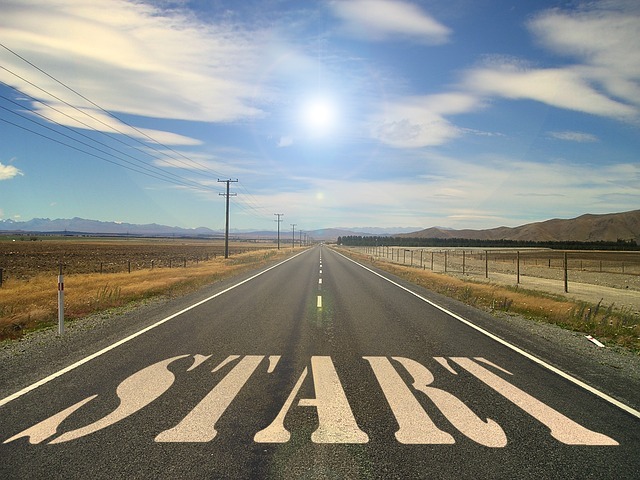 I also have a list of over 50, I have tried that I would share to help you get started. You could even look at non-health care apps focused on productivity and other functions for the busy clinician! And really this is a win-win. The developers of these apps want people to benefit from them, and we want to make computers work for us to make our lives better, easier, and more awesome. If there is an app you think we should review leave it in the comments on this post. It’s difficult for adults to talk to one another about death. The topic makes us uncomfortable. Despite this fact, most of us will muster up the courage and have these hard conversations when the need arises. There is something, however, far more difficult than talking to our peers about death and that is talking to children about death. Parents will have memories of questions kids have posed about death when a pet has died or bird is found deceased outdoors. These awkward moments force us as adults to simplify a complex concept on the fly, and usually unprepared, at best we stumble our way through. What do we do when it’s not a pet; when the impending death of a parent or grandparent looms? That answer is as complex as the topic of death itself. There are some basic facts however, that help guide us. One, we know that avoiding the topic of death is harmful. Kids are very observant, and usually have already encountered death on T.V. or have seen dead insects. Though it may feel like we are protecting children by not talking about it, research shows it creates much more problems for the child. It is also not a good idea to force information that may be too complex on a child. 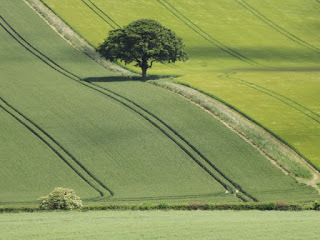 The best approach is a balance between avoidance and confrontation. The goal is to be honest, sensitive, and approachable. Another mistake adults often make is to use euphemisms when talking to kids. Children are literal, so when an adult says, “Your Grandma is in a better place now,” Kids literally think Grandma might be at Disney World. The phrase “he just went to sleep” is also very scary for a child to hear. Children will become afraid of sleeping themselves, assuming they too might never wake up. It’s helpful to keep in mind that the developmental stage of the child is important to understanding the concept of death. For instance, kids ages 2-4 don’t grasp the permanence of death. Death is temporary to them, and they will continue to expect the deceased to come back. This age group may react to death with separation anxiety, withdrawing, regression or confusion. Kids ages 4-7 often have magical thinking. This group will often feel responsible for the death and may connect something completely unrelated to it. For instance, a fight at school gets linked to the reason they think their dad is dying. 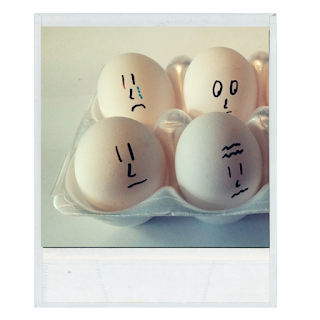 This group may appear unaffected and unemotional after someone dies. Because of the tendency to feel guilty for the death, this age group needs good communication and openness. Once kids are 7-10 they begin to realize death is not reversible. This age group is very curious about death and may ask insensitive questions. They can view death as a punishment and will often start worrying that others around them may die, or that they themselves will die soon. People often ask if children should visit someone who is dying. The best advice is to leave the decision up to the child. If they are interested, they should visit with thorough preparation on what they will see when they arrive. They should be given permission to leave at any time. Finally, children should never be forced or made to feel guilty if they don’t want to participate. Even though death is a difficult topic for adults, if we approach it the right way with kids, the foundation for healing and understanding for a lifetime can be created. For more Pallimed posts on Children and Grief see here. 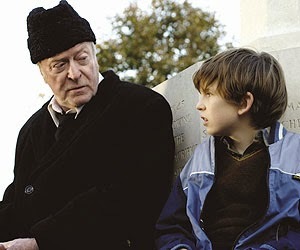 Photo Credit: Still from the movie, "Is Anybody There?" A colleague of mine recently brought to my attention his listing of all the medications he prescribed in 2013 on the Medicare Part D prescriber database. What's that you say? You have not heard of this tool to find out what medications your doctor prescribes? This new dataset provides key information to consumers, providers, researchers, and other stakeholders to help drive transformation of the health care delivery system. This data enables a wide range of analyses on the type of prescription drugs prescribed in the Medicare Part D program, and on prescription drug utilization and spending generally. No worries, patient information is not shared, but what does this really tell us about physicians, and in particular physicians who practice in hospice and palliative care settings? Admittedly, some of the national and state level data is interesting. Knowing the average number of drugs prescribed by Family Medicine (74.9) is higher than Internal Medicine (65.7) could be used for some fun ribbing about who knows the most about what. Seeing that Nexium ($2.5B), Advair ($2.3B) and Crestor ($2.2B) are the three most costly medications in terms of total expense helps demonstrate the power of advertising. But what is the purpose of looking up an individual doctor and their prescribing patterns? Does this help the public figure out quality? No. Could this be used to find outliers? Sure, but why does everyone's data need to be published to find the outliers? The Forbes 100 list doesn't need to publish the net worth of every person to figure out who the outliers are. Please understand, I am fine with finding physicians consistently prescribing unsafely, but that can be done with CMS and state boards working together and doing investigations. The real problem with this data is that it is woefully incomplete and without context to answer the questions some people are asking it. Looking at one individual physician's data, one finds it difficult to understand. Let's take a look at some examples for our field of Hospice and Palliative Medicine (HPM). Even more important since we tend to prescribe a lot of opioids and benzodiazepines for complex symptom control. Oh why did I cross that out? Because the reason and appropriateness of a prescription cannot be gleaned from this database. Unfortunately, someone may look at your data and consider you a 'pill mill' doc without that context. That's not right. It lists only one specialty for each provider. So if you are a family medicine doctor who does a lot of hospice or palliative care, no one will be able to tell with this database because it may likely list you as just a family medicine doctor. Specialties are listed multiple times. Looking at the National List of specialties, 'Hospice and Palliative Medicine' is listed 9 times (which links to 94, 94, 16, 10, 4, 4, 3, 2, and 1 for # of physicians) totaling to 228 HPM physicians in the USA. That cannot be right. in 2013, there were over 6,000 board certified HPM docs and this database only found 228 of them? Lots of physicians are missing. I looked up 10 doctors I commonly work with in outpatient and inpatient settings and found listings for only 4 of them. How can you compare someone to their peers if you are missing such a large number? Looking for dirt on me? Too bad, I'm not in the database, because I was in a non-clinical role in 2013. Scripts attributed to NPs and PAs? Guess who gets the credit for those scripts? I nmany states the supervising physician does. So if you supervise the practice of 2 NPs then you may have 3x the prescribing rate as your peers. But you can't tell that from this database. Hospice Medical Directors prescribe under the Medicare Hospice Benefit. So all the comfort kits, opioids, benzodiazpines prescribed appropriately for dying patients on hospice will not be included in this database of Part D prescriptions. So at least tell your physician friends to check out their own name (modern physician equivalent of 'Googling' yourself), so you know what people are seeing about you. If you don't like what you see you may not have much recourse, but the next time you start hearing about physician level data being published you may want to have a voice in the matter. Overall, I find this database to not be very helpful except looking for national and state trends and with future database releases looking at trends over time. Maybe it will help us understand how REMS may change the available number of prescribers of certain opioids. Recent publications trying to shame doctors who prescribe large amount of certain medications are disheartening to read on many levels, because when it comes to this database, the numbers are not the whole story. 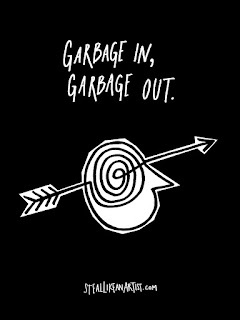 Garbage in, garbage out. Christian Sinclair, MD, FAAHPM is editor of Pallimed, and practices palliative medicine at the University of Kansas Medical Center. He is a fan of data, statistics and science, in addition to appreciating the value of starting with good data and informed context. As CEO of the Coalition for Compassionate Care of California—a leading champion of palliative care—I understand how crucial it is keep a finger on the pulse of policy and legislation. In California we led efforts to pass POLST legislation in 2008 (AB 3000—Wolk) and championed the establishment of a pilot palliative care benefit through Medi-Cal in 2014 (SB 1004—Hernandez). CCCC’s legislative success is due to a combination of establishing and maintaining relationships with policymakers and their staff, keeping abreast of national palliative care initiatives, and forming partnerships with key organizations who help advance our mission. Even though CCCC’s policy focus is in California, I always keep an eye on national legislation that might impact palliative medicine and serious illness. Amend title XVIII of the Social Security Act to provide for advanced illness care coordination services for Medicare beneficiaries, and for other purposes. The Care Planning Act would fund advance care planning discussions with doctors, nurses, and other healthcare professionals. Additionally, the legislation would create an Advanced Illness Coordination Services pilot program that offers home-based support of patients with multiple and complex chronic conditions. The Care Planning Act is supported by a swath of professional associations representing the medical community. The American Academy of Family Physicians (AAFP) recently gave S 1549 a “Big Thumbs Up” on their website. In this chat I aim to get you thinking about a wish list of policies that could help you in your job. We will also talk about the Care Planning Act of 2015, and what is happening in states around the country. P.S. If you live in California and want to get involved with our work in public policy, drop me a line. This year we are keeping our hands full with a bill that would allow NPs and PAs to sign POLST forms under the supervision of a physician (AB 637—Campos), and a bill that would establish a POLST registry in California (SB 19—Wolk). Judy Thomas, JD, is CEO of the Coalition for Compassionate Care of California, a nonprofit organization that promotes high-quality, compassionate care for all who are seriously ill or nearing the end of life. Together with their partners, CCCC is shaping the future of palliative care at the local, state and national level. As the voice of palliative care in California, CCCC incubates and disseminates models and ideas to improve access to quality care for all people. One of the challenges with studying what hospice does is some of the fundamental parts of it are considered standard of care without ever being tested or analyzed**. Prognostication as eligibility criteria? Yeah, that makes sense for a benefit for dying people, except the science of prognosis has not kept up with the demands of the system for ever-increasing accuracy. Interdisciplinary care required? Sure, that makes sense, but how do we know which team members really work best for each patient, we've never tested it to look for improvements. Bereavement support for families - well now we have a study which may help us understand the impact of this lauded benefit. The most favorable finding for hospice use to help depressive symptoms in surviving spouses was not reported in the abstract results. Of the people who were interviewed (as part of the HRS study), 38% of spouses with hospice experience had improved depressive symptoms, a statistically significant (p=.01) improvement over those who had no hospice exposure (26%). For any of you odds ratio fans, that came out to an OR of 2.15! Most media reports gave pretty favorable headlines to this study, which I think is close enough for public knowledge and understanding. Can you use this research in your hospice 101 presentation? Sure. Can you make some nifty graphics to share online? Sure. Can we use this information to help us better structure interventions for the bereaved family? Maybe. First, while this is a strong study in terms of numbers, matching interventions with controls, and being somewhat objective to the intervention of hospice***, the study was unable to tell what bereavement interventions occurred and therefore it is difficult to tell what interventions are helpful and which have no effect or potentially harm. So this is not a full ringing endorsement of bereavement services, but rather hospice use. As mentioned earlier on close examination it is not truly hospice for 3 or more days vs no hospice. The true selection criteria were hospice for 3 or more days vs 0,1,or 2 days of hospice. There isn't a solid explanation in the article for this awkward choice of group selection, and the only place it is mentioned is in the footnotes of Table 4. The authors rightfully note hospice enrollment for even 1 or 2 allows for access to bereavement services, so theoretically we are not testing two different groups. Christian Sinclair, MD, FAAHPM is a palliative care doctor at University of Kansas Medical Center, and has been a hospice medical director for 11 years. He has witnessed the good works of bereavement counselors. *The regulations say up to a year, but nearly every hospice offers about 13 months of support to get people past the anniversary of the death. ** You know what else became standard of care without being tested or analyzed? PEG tubes in advanced cognitive impairment. It just 'made sense.' Only recently have we started to get the evidence published that it does more harm than good. *** The depression scale was part of routine screening, not some asking you to enroll in a study of how hospice affects depressive symptoms in surviving spouses. In palliative care, the symptoms we frequently encounter (fatigue, pain, nausea, dyspnea, depression, anxiety) have unique challenges, yet many of us have a comfort and confidence in the availability of therapies and the understanding of the symptom. Recently, I have seen two uncommon symptoms, prolonged isolation and fear as a result of a weak immune system. Frankly I don’t quite have a confident construct to understand and treat these two novel issues. It is not any single case that has stood out, but as I work more in outpatient palliative care in an academic cancer center, these themes of fear and isolation are pronounced and different than the fear and isolation that we may see in patients who are in their last days of life. For many people undergoing chemotherapy or transplants with anti-rejection medications, they find themselves with prolonged periods of weakened immune systems. Obviously there are more dangerous periods with severe neutropenia (low white blood cells), but it is a new situation (to me, at least) when the immunocompromised state is more chronic, more permanent. I understand the biomedical and infectious issues fine. It is the psyschosocial aspects which have piqued my interest. It is not uncommon to hear patients say that have cut out their favorite outdoor hobbies, or describe themselves as newly minted introverts. “Church? I’d love to go to church, but it isn’t good for me to be around that many people. I could get sick.” “We had a family reunion, but I only stopped by for a few minutes to say hi to everyone. There were a lot of young kids there with germs.” These are real injuries to quality of life, and there is no medicine that can fix that. Now of course, not everyone who is chronically immunocompromised feels this way, but I am seeing a new trend for my clinical experience. If I want to do a stand-up job for patients, I feel I need a better understanding about the psychological aspects of infection control. And when I don’t know what to do, I go to the literature! Looking around PubMed there is not too much about the long-term psychosocial impact of infection precautions. Most papers are focused on hospital based isolation (easier to study probably) compared to long-term self-imposed isolation as a result of being chronically immunocompromised. But let’s see what we can learn. As you may have already guessed, people who were placed in isolation in hospitals have been found to have (over multiple studies): lower self-esteem, more anxiety, more depression, more fear, more isolation, less nurse and doctor visits, less time when those clinicians were there, more adverse events, less satisfied with their care. Patients and families also do not understand the reasons for isolation in the hospital setting. (Perhaps we send mixed signals, or do not inform well?). Although in chronic immunosuppression, the reason for isolation is most likely the patient’s own fear of getting any infection. Otherwise there really is not much published on the psychosocial risk and impacts of chronic immunosuppression. I also looked at some of the HIV/AIDS literature, but much of the psychosocial studies were not about the issue of isolation secondary to being immunocompromised. Even long term quality of life studies for people who have received transplants, focus on the frequency of infections and related hospitalizations when discussion of immunosuppression, not the risks of fear or isolation. I have many more questions now on this topic, all without great (published) answers. How effective are the various ‘germ-free’ strategies? 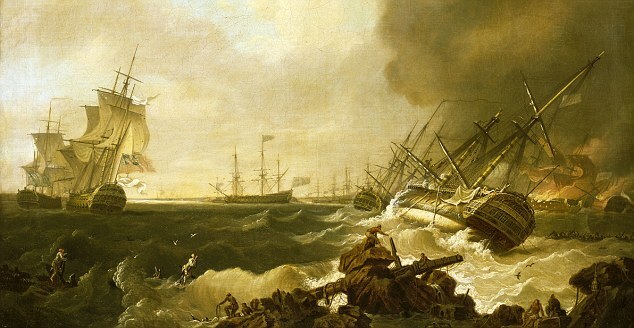 Do we sometimes go overboard to the detriment of patients? Is contact with other people potentially of more benefit than the risk of an infection? How do we help build resilience and support for people who are feel so isolated (meditation, prayer, FaceTime, Skype, and Frankl’s “Man Search for Meaning” are some ideas)? Does it help to let them see your face at least once before you put on the mask? So without a lot of good published evidence, I still don’t quite have a good context in which to understand these trends. Hopefully, the patients and families I meet will teach me something. I’m really interested to see if any other palliative care clinicians, oncologists, BMT docs and nurses, or transplant professionals have any good tips or evidence. Also if you are a patient or family member, it would be great to hear your experience dealing with chronic immunosuppression. Christian Sinclair, MD, FAAHPM is a palliative care physician at the University of Kansas Medical Center in Kansas City, KS and editor of Pallimed. In his free time, he enjoys coming up with nicknames for the new family dog, Spud. 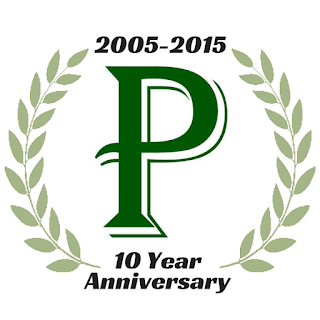 I am beyond thrilled that we made it to our 10th Anniversary. There were some times in the last few years I thought about shutting it down and simplifying things. But I was thinking only of Pallimed as a blog. Pallimed stopped being just a blog quite a while ago, but many (including me, until recently) may still think of it as only a blog. While the site is still the backbone of the work, the scope of the Pallimed brand has expanded greatly in the past decade. Understanding the behind-the-scenes support (tech, planning, editing) was largely dependent on my own individual volunteering, it was only last year when I realized that plan would not sustain Pallimed into the future. The writers and many contributors to the Pallimed effort have created something grand, and it needs to be able to stand alone as an organization. So this year, in our 10th anniversary, the non-profit Pallimed Foundation was established. With the establishment of the Pallimed Foundation, we recognize that there are many different aspects to what Pallimed actually does. The Pallimed Foundation will allow us to gather the resources to sustain the work we do into the future and not be dependent on individual volunteerism. We are still in the planning stages for the Pallimed Foundation, so if you are interested in being a part of this new formal effort, please get in touch. 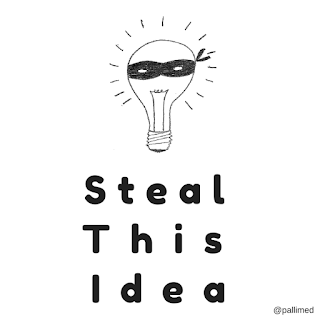 Some basic ideas for the Pallimed Foundation include: becoming a formally recognized 501-c(3) organization so we can accept tax deductible donations, support overdue website and design upgrades, crowd-funding new content for Pallimed, supporting (through grants and coverage) unique real world and digital media projects focused on palliative medicine, reimbursing contributors for their writing and efforts, teaching social media skills to hospice and palliative care clinicians. Some of you may be concerned about this addition of money into the equation. I assure you, true to our original mission, Pallimed website content will always be free to access and free of advertising. We are strong believers in the open access and Creative Commons movements. Our revenue model will be focused on donations, grants, crowd-funding and pay what it’s worth (PWIW). In the past 10 years, I have personally spent less than $4,000 on Pallimed efforts, but there have been countless opportunities that having established funds could have helped propel something to a new level of engagement. And that is a core tenet of what Pallimed is about: engagement. 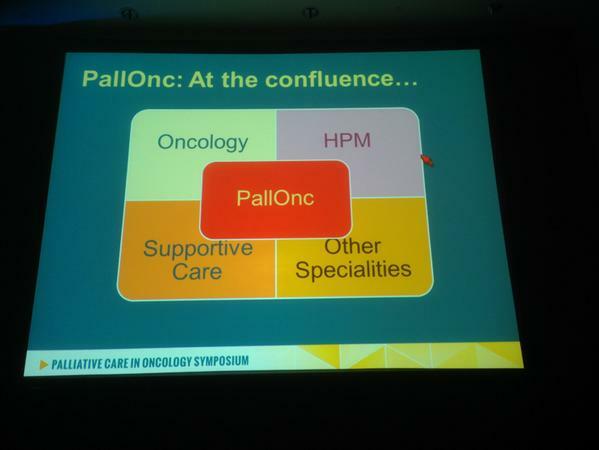 If we have a funding model for long term viability, we also need an organizational approach and structure to the rest of our content creation, and so I am also introducing the Pallimed Network. Below is the list of current nodes of the Pallimed Network. Some are current, some have lapsed and need to be rebooted, but altogether they can reach a potential audience of over 24,000 non-unique users with each post. In formalizing the Pallimed Network, we can begin to recruit and recognize dedicated volunteers who can lead these various efforts through advocating and scholarly activities. If you are interested in helping on any of these efforts we are looking for leads and support. We will soon be introducing affiliates of the Pallimed Network as well as stand alone websites for the Pallimed Network and the Pallimed Foundation. *Pallimed Network does not own any rights to National Hospice and Palliative Care Month, but has maintained the page since 2010. 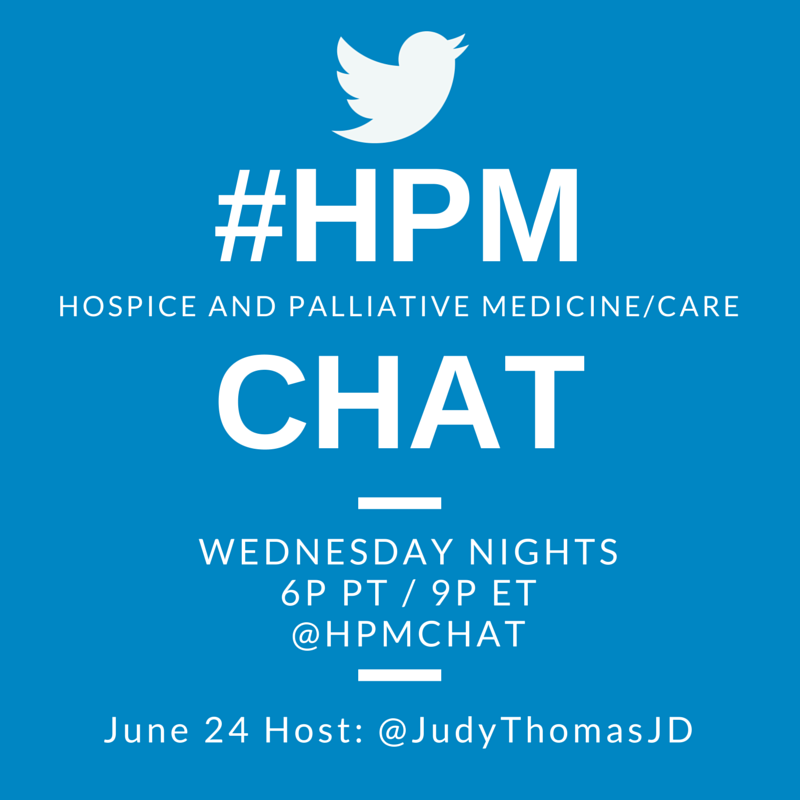 This week's #hpm chat (June 10th 9-10p EST) we will be co-hosting with #gyncsm (Gynecologic Cancer Social Media) and discussing Palliative Care for women with gynecologic cancers. We are so happy to be hosting a joint chat with the the #gyncsm community. Dee Sparacio (@womanofteal) and Chistina Lizaso (@btrfly12) are strong patient advocates. They have done a great job moderating this monthly chat since 2013 and have made #gyncsm into one of the leading cancer focused chats on Twitter. Read more about their past chats on the #gyncsm site. One of the unique aspects of this chat will be the differences between the two communities. The #hpm chat tends to draw more clinicians as the core group, while #gyncsm has a much stronger patient driven community. T1: What does the term "palliative care" mean to you? 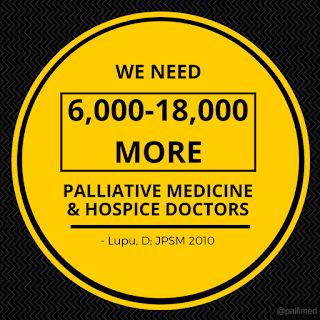 How do you think palliative care differs from hospice? T2A: Have you discussed palliative care with your doctor? Who brought it up? How did it make you feel? T2B: When in the patient's treatment do they tend to get referred to a palliative care specialist? When is ideal? T3: Are there medical / insurance requirements to obtaining palliative care? T4: What do you wish you would have known about palliative care? Doc's: What do you wish your patients knew? T5: For those with experience with palliative care, what were the positives / negatives? Palliative care clinicians will have a wide variety of experiences with patients who have gynecologic cancers, much of them largely dependent on the referral pattern of the doctors who primarily care for this group of patients. Some places may encourage early access to help with symptoms and build relationships, while other centers may only see palliative care as helpful when goals are about to change (although hopefully this chat may help illuminate that narrow view.) I was happy to find this open-access position statement from the Society of Gynecologic Oncology on palliative care and hope that any palliative care clinician reading this will click, save, read and then email to their GynOnc colleagues and invite them to tea so we can find common ground. Much like we will be doing in this chat this week! For those not familiar with palliative care, you can read this fact sheet on palliative care from the NCI (@NCI) and this article from Cancer.Net (@cancerdotnet). 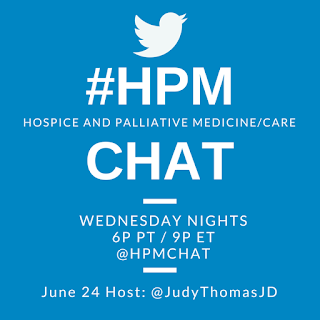 For this joint chat, include both #gyncsm and #hpm in your tweets. We look forward to having you join our discussion or come and "lurk and learn". If you are new to Tweetchats, you do not need a Twitter account to follow along. Try using the search function on Twitter. If you do have a Twitter account, we recommend using tchat.io, for ease of following and tweeting. Hers was the face of someone defeated by cancer. Our conversation was grim. She wanted to “fight,” to continue treatment. But there were no more options. I vaguely remember speaking, feeling hopelessly ill-equipped. I, too, felt defeated. As a young physician and aspiring oncologist, I wondered: How do we prepare ourselves and our patients for these conversations? Thankfully, I am not alone in struggling with this question. A new theme in medicine has emerged: how to talk about dying. As a field, oncology has been at the forefront of this movement. Some suggest making exposure to end-of-life encounters mandatory during medical school. Others stress creating systems and providing more resources for patients and doctors to encourage earlier planning for death. But in order to facilitate and advance this difficult conversation, we must first change the very words we use to discuss cancer. When the National Cancer Act was signed in 1971, our nation’s political and social will was focused on a “war on cancer.” Our widespread use of this language is rooted in a propagandist history promoting the belief that, with enough resources, this is a conflict we will win. 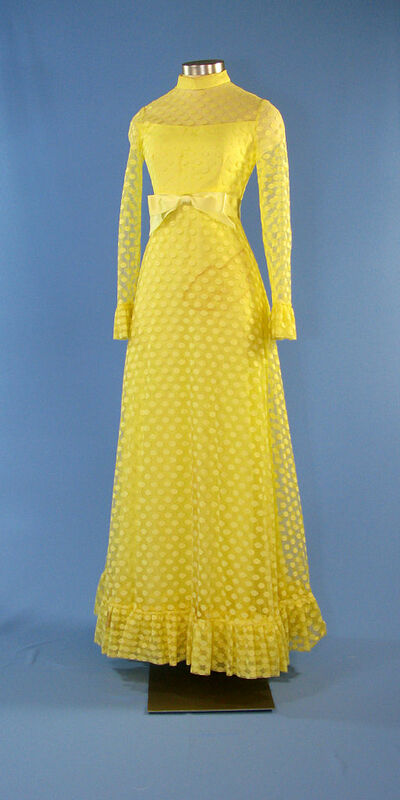 Consequently, victory became defined only by “defeating cancer,” or finding a cure. A visit to the American Cancer Society website asks you to join the “fight against cancer;” and a majority of public cancer-related media is packed with more war imagery. While the war description of cancer has resulted in unprecedented attention and fundraising for cancer care, research and survivorship, a balance should be reached between these successful efforts and language that is a realistic assessment of what can be accomplished today, for the patient, right now. Cancer is a unique disease. To take the war analogy further, cancer is not a foreign agent infiltrating our bodies, such as an infection — cancer is a coup d’état, a tumorous growth from within us. One of the great paradoxes of cancer treatment is that targeting cancer inevitably means targeting our own bodies. Yet because we conflate cancer and conflict, physicians and patients often find themselves in the midst of an unintentional civil war, fighting for life to the very end. We have inadvertently created a culture where death is considered a failure, and life extension equals life. Words affect perception, and for some patients, a ‘cure’ is not always an achievable goal. Is war the best analogy? So how do we make this change? As with most things in medicine, it begins with the patient. Once faced with a cancer diagnosis, the physician’s temptation is to start the patient down a predetermined path of treatment. Instead, we should take a step back before pursuing the details of what to do next. A recommended but not often used script is to first ask the patient: What do you understand about your illness and what do you want to know? Who among your friends and family can provide support? What are your goals in life — both short- and long-term? And while it creates a sense of camaraderie, we should avoid phrases such as “we will fight this” or offer vague hope. Rather, I caution patients with advanced cancer that therapy may be the life-saving option currently helping them achieve their goals, but there may come a time in the future when additional medical therapy will actually impede their enjoyment of life. This is akin to the technique of framing discussions in a way to hope for the best but prepare for the worst. Physicians can guide patients through these discussions by involving palliative care specialists, whose role is to improve quality of life through symptomatic and psychosocial support. This support ranges from treating pain, insomnia, and anxiety to addressing spiritual needs and helping patients understand their disease and cope with related stress. Engaging their services soon after a cancer diagnosis has been shown to not only consistently improve survival, but also health literacy and other disease-associated outcomes, such as depression. Studies show that these effects even extend to patient caregivers. However, a barrier to more use of palliative care is the misconception that palliative care and hospice are one and the same, that accepting palliative care means “surrendering” to the disease. While hospice focuses on end-of-life comfort, palliative care provides support throughout the spectrum of illness, from diagnosis to death. Once this concept is explained, palliative care is often more easily embraced. The result of having these exchanges and involving palliative care early in the course of the disease is to break the false dichotomy between cure and failure. This strategy broadens the patient’s and physician’s ability to receive and provide care. But these are very difficult conversations and are filled with fear and anxiety. 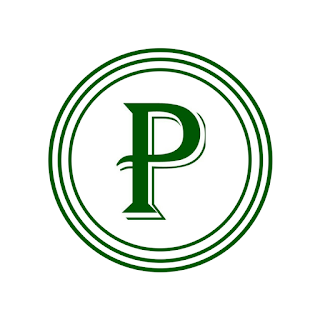 How does one address a patient who feels terrified when told to “prepare for the worst?” It is crucial for a physician to normalize these conversations, perhaps by saying “I discuss this with all my patients who face a serious diagnosis,” and then to provide reassurance that their patient will receive comprehensive medical care, whether it is curative, palliative, or both. As physicians grow to embrace a more holistic view of cancer treatment, the public discourse surrounding death and disease must also evolve. Online tools such as “Let’s Have Dinner and Talk About Death” are a step in the right direction. Ending the “war on cancer” is another. Let’s stop the talk of battles and instead raise awareness by celebrating the remarkable stories of those who succumbed to cancer and those who are currently living with cancer. As one of my patients eloquently told me, “Death is not a threat but the condition that maximizes my life.” Our medical interventions, while powerful, are not the only way to maximize life. And partnering with my patients to figure out how is the best part of my job. Isaac Chan, MD, PhD, is a resident in General Internal Medicine at Boston Medical Center. This post was originally published on WBUR's Common Health blog and is reprinted with permission of the author and WBUR. It is quite amazing how far we have come with digital media tools. In 2005, YouTube had just started and was in public beta, Facebook, had just changed from thefacebook.com to facebook.com and was still mulling the decision to let in more than just elite college students, and Twitter, Tumblr, Instagram and Pinterest didn't even exist. Back in 2005, when Drew Rosielle started Pallimed, blogs were beginning to enter the mainstream as a form of participatory journalism. With more free publishing tools at your disposal, you could spend an hour or two writing an opinion or analysis and instantly share it with everyone with the click of the publish button. Blogs were really the beginning of modern social media since their rise in popularity in the early 2000's and they had a fairly strong base in medicine. Kevin MD, The Cheerful Oncologist, DB's Medrants, Respectful Insolence, Dr. Wes, Intueri, Clinical Cases and Images, Emergiblog and others helped give a voice to clinicians in the field who wanted to teach and share what they were seeing. Some of those blogs have closed, some have moved to more formal media sites. Not many blogs last 10 months, let alone 10 years. It is exciting to see Pallimed is still here after 10 years. Looking forward to the next ten years we have a lot more we can accomplish as a group. Over this week, we will be announcing a few new initiatives which will help us build a better resource to share great information from clinicians, researchers and advocates seeing the great impact of hospice and palliative care every single day. But today let's just celebrate all the efforts of those who write, share, read, comment, like, and tweet about hospice and palliative care. Many hands make light work. A few people you may know wanted to share some kind words about what we have been able to accomplish here at Pallimed. If you want to share your own feelings, please comment below. I practice full time palliative care, but I am also a strong advocate for family medicine and primary care. I volunteer a significant amount of my time serving on the Family Medicine Review Committee for the Accreditation Council of Graduate Medical Education (ACGME). While most family physicians don’t specialize, the American Board of Family Medicine (ABFM) offers Certificates of Added Qualification (CAQ) in some areas of medicine. Hospice and Palliative Medicine (HPM) and geriatrics, for example, are natural extensions of family medicine. Twelve years ago I pursued HPM training directly after family medicine residency training, however family medicine continues to serve as the foundation for my palliative medicine practice. As many family physicians say—“once a family doc, always a family doc”. I suppose this is also why I will always need to maintain my board certification in family medicine in order to maintain my CAQ in HPM. When the Institute of Medicine (IOM) report on Graduate Medical Education (GME) financing came out last year, I agreed with the recommendations and thought to myself that primary care specialties as well as the subspecialties of HPM and geriatrics stand to do well if these recommendations are implemented. Dr. Kyle Edmonds nicely summarized the details of the IOM recommendations and the context for HPM. These documents describe how family medicine meets the needs of our population in the context of a shortage of family medicine physicians. They advocate that GME financing should align with the needs of the population rather than hospitals. I completely agree with that! However within these documents, the first of five recommendations is to “Limit payments for direct graduate medical education and indirect medical education to training for first-certificate residency programs.” Interpretation = Don’t fund fellowship programs (including HPM and geriatrics). I was extremely disappointed to see the wording of this specific recommendation. Are HPM and geriatrics really in a significantly different ballpark as compared to Family Medicine? The ABFM offers CAQs in both of these fields. HPM and geriatrics have documented significant shortages of trained physicians and both meet the needs of our aging population. Both view and care for the patient in the context of their family and the community. You might argue that HPM and geriatrics don’t provide primary care, although the geriatricians I know provide primary care for the most complex patients and when I worked for a hospice, I assumed primary care (at the request of the referring physicians) for many of the most complex patients. Additionally, HPM and geriatrics fall in line with family medicine when it comes to the goal of increasing value and the triple aim of better care, better quality, and lower costs. When compared to family medicine, there are many similar goals and quality outcomes for our patients. However, HPM and geriatrics require additional training because there are additional skills needed for our patients that are not taught within family medicine (or other primary care) training programs. The AAFP statements ignored recommendations from an IOM report in 2008: Retooling for an Aging America: Building the Health Care Workforce. And ironically, the same month the AAFP released their statements, the IOM released another important report: Dying in America: Improving Quality and Honoring Preferences Near the End of Life. This important report calls for a number of changes to enhance our population’s quality of life and contribute to a more sustainable health care system. 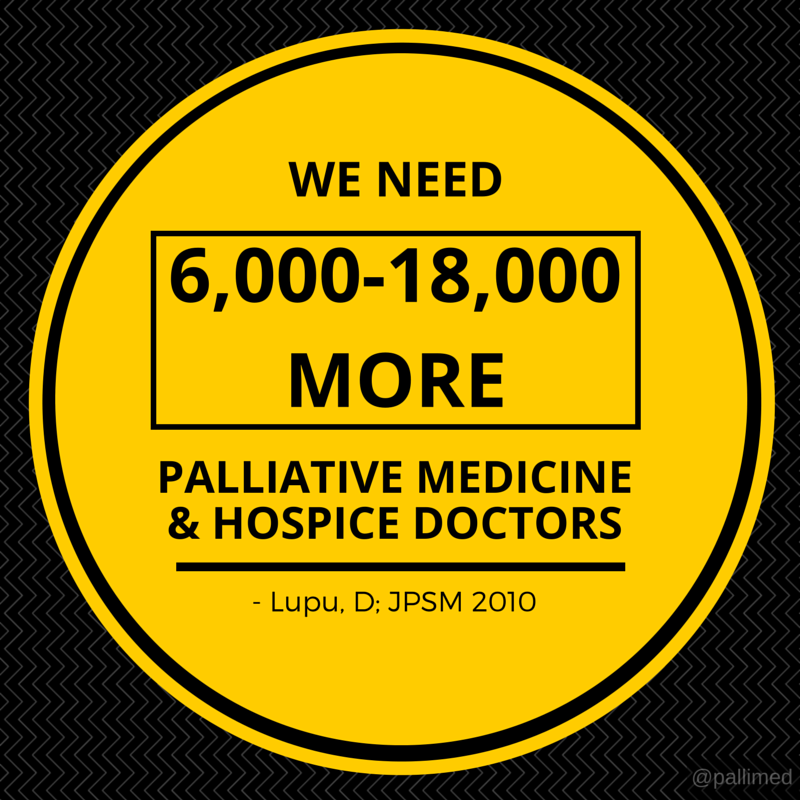 In addition to calling for general palliative care skills to be required for training of all clinicians caring for advanced serious illness (including primary care training), the report calls for increasing the number of and funding of HPM fellowships. The AAFP statements say that subspecialties don’t need funding for training programs because subspecialist trainees are allowed to bill for their services. This is incorrect. GME departments that support training programs do not allow subspecialist trainees to bill due to Centers for Medicare and Medicaid Services (CMS) scrutiny. Since GME departments receive federal funding for some training positions and provide some level of support to all training positions, they do not allow any trainees to bill. CMS policies would need to shift significantly for this to change. Why then, as the AAFP statements point out, have many fellowship programs developed since 1997 that don’t get financial support from Medicare? These programs depend on funding through private-sector philanthropy or institutional support (departments or hospital budget). Just over 100 mostly small HPM fellowship programs in the United States have scrapped together money in this fashion. Unfortunately that does not come close to meeting the workforce needs of our population. I am aware that some family medicine residency positions have also been funded without government Medicare funds (over the cap). However, that does not mean it is a sustainable model to grow family medicine to meet workforce needs. While this isn’t a good model for family medicine, HPM, or geriatrics, it might work for some subspecialties with higher department budgets and faculty billing revenue. A friend of mine who is a Family Medicine Residency Program Director had trouble understanding my dismay regarding the AAFP position. She said, “Well, can’t HPM develop their own advocacy for GME funding separate from family medicine?” The simple answer is “sure”, but it doesn’t make sense to me that any advocacy will be in direct opposition to AAFP. Additionally the AAFP stance is currently one that isolates family medicine instead of building strategic partnerships. The American Academy of Hospice and Palliative Medicine (AAHPM) and American Geriatrics Society (AGS) are doing important work to grow and retain the HPM and geriatric workforce. A number of collaborative efforts have been undertaken around education and advocacy including a joint outreach to AAFP with AAFP holding firm on their stance for now. For those of you who are family physicians, I encourage you to reach out to AAFP and tell them how you feel about these position statements and specifically the wording of their first recommendation. I hope there will be a shift over time. It makes sense that AAFP would be a partner in advocacy to meet the needs of our current and future patients and their families. Please leave your thoughts here as well. Gary Buckholz, MD, FAAHPM is an Associate Clinical Professor at UC San Diego and part of the Doris A. Howell Palliative Care Service. He co-directs the UC San Diego and Scripps Health HPM Fellowship Program. These are his personal opinions and may not represent the views of UC San Diego, Scripps Health, AAHPM or ACGME.